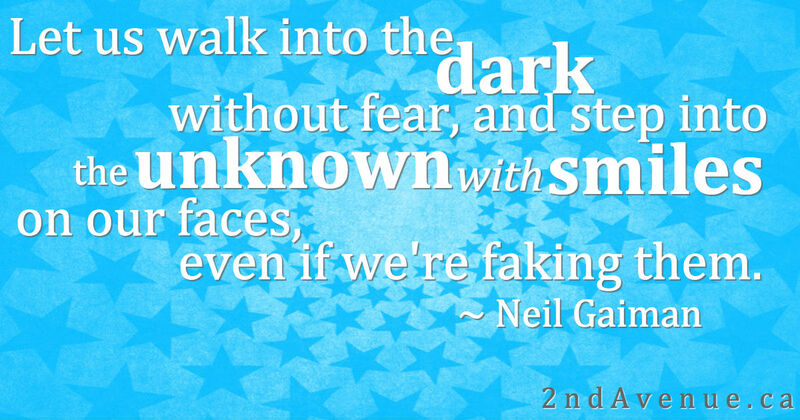 I’m stealing a New Year’s wish from Neil Gaiman to share this year. He posts these kind of wishes most years and they’re all really lovely! This one rings particularly true as I step into a very unknown future! There’s a whole lot of newness to look forward to in Calgary (job, home, yoga studio, friends, climate), very little that’s nailed down, and infinite possibilities for happiness! Wishing everyone a very Happy New Year and an incredibly brave and joyful 2015!